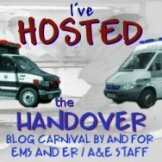 The EMS blogosphere continues to grow, and I will continue to try and link to as many blogs as I can find for you all. After all, variety is the spice of life is it not? TOTWTYTR, as he is commonly referred to around the blogosphere is a Paramedic from the United States who has a unique way of writing and likes to diversify his blog at times from purely EMS stories. If you want to try and get your head around the current Health Care Reform argument in the States, this blog would be a good place to have a quick look see, as well as getting a regular fix of EMS excitement! Mack 505 recently introduced himself to ‘The Handover’ by submitting to last months edition. I know many have been over to read his blog since then, but if you haven’t, click here to go visit. He is another one of our firefighter paramedic friends from the U.S but this time from MA (I think that means Massachusetts). I have had a preview of his Submission for this months Handover (to be held here on the 28th), and if that’s anything to go by, his blog is certainly worth bookmarking. I have already mentioned Epijunky in a post a couple of days ago. Again, hers is another blog that I read regularly, but neglected to put in my blog roll (sorry Epi!). Click here to pop over and have a read.